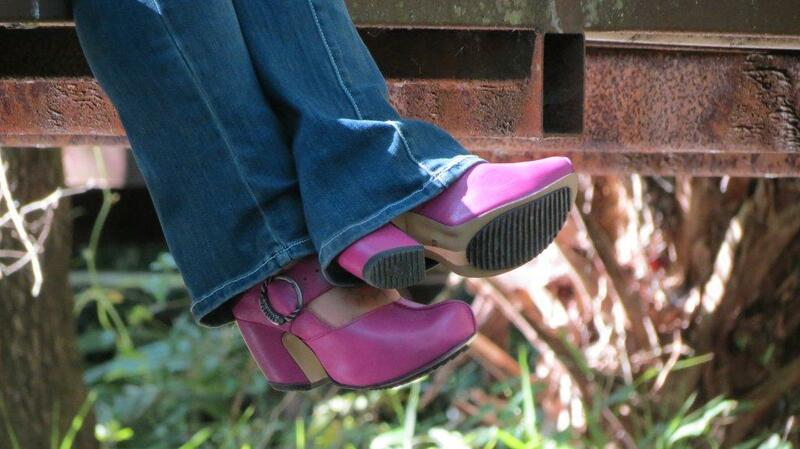 Have any of you checked out the Fluevog site? Oh my. There are so many new styles that I have yet to try. Next month, when I visit my beloved dealers at Haight Street, my senses will go into a complete frenzy! Of course, I will be relaying some new info. In fact, I will be playing catch up these upcoming weeks because there is a lot that I’ve tried on but haven’t shared yet. Many thanks for your patience. Here we go! When I first saw the Awake | Peak, I immediately thought of Miss Dorothy. These are totally her kind of Vog. I know she’s trying to avoid heels and opt for flats. However, these lovelies speak to everyone’s inner artist. I tried these on in size 9.5, which is a half size larger than my usual size. As always, these were very steady given the heel height. Also, you gotta love the variation on this simple black boot. It has a platform heel that runs a little short underneath the toe area, but it does not have any impact on how you walk. (Confession: That was a concern for me.) I also love the lacing on this and I’m sure people will figure out how to find awesome laces in other colors just to give this Vog some flair. The Prepare Hi | Venture was the total surprise for me. Having recently purchased a pair of vintage Mini | Lovers in pink, I automatically told myself that I wouldn’t consider adding this to my collection. The side lacing is very similar and I really don’t need yet ANOTHER pair of black boots in my collection. Alas, the Venture does not disappoint. I was amazed at how gorgeous these are. Of course, they’re comfy, give awesome height (a plus for a short gal like me), and are totally secure in fit. The “peep lace” area is larger than what you find on the Mini | Lover. With that, you can show off some skin or funky sock nicely. I thought this was a great alternative to the Mini | Lover. 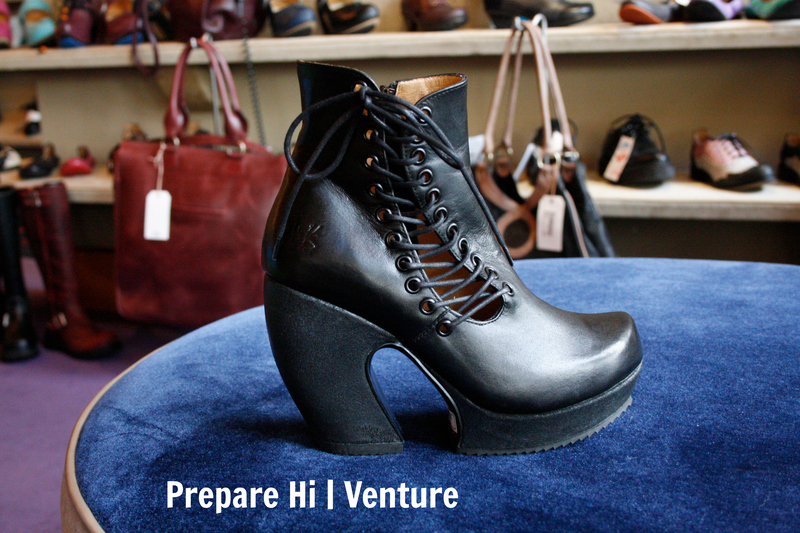 Admittedly, where the Mini | Lover seems to have a witch-y vibe to them, I feel that the Prepare Hi | Venture has a sexier edge. For me these were a pleasant surprise and I’m sure this would make a fantastic addition to anyone’s collection. Hope you found this helpful! As always, feel free to connect with us. We love hearing from you! We are so lucky to feature Lisa R. in our FlueFan Spotlight. 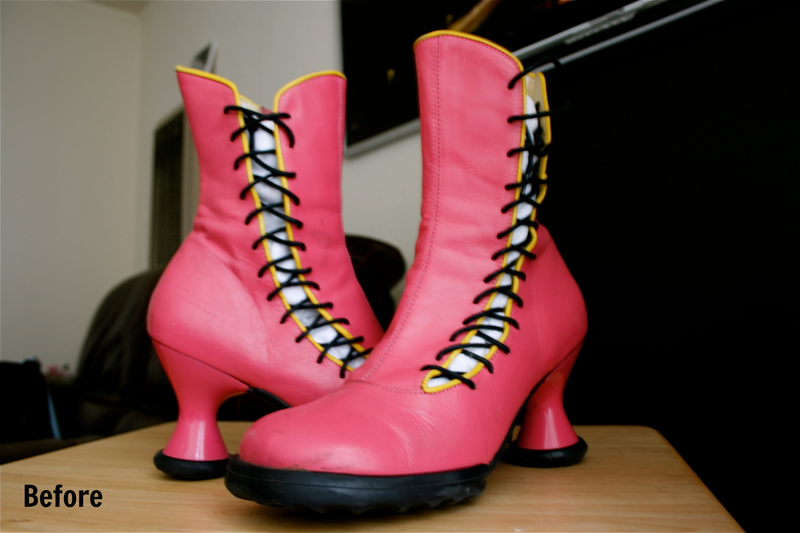 She was the April 2012 Fluevog Vogunteer. For those of you who are familiar with the Fluevog Fridays Facebook Page, you’ll know that Miss Lisa is a regular poster:) Members of the MotleyFlue were lucky enough to meet Miss Lisa a while back at the Haight Street store. Miss Gladys recognized her from the Fluevog Facebook Page. From there, we bonded (Miss Gladys has the shoe pic to prove it). Enjoy getting to know Miss Lisa R.! (Left) Lisa R. with John Fluevog! 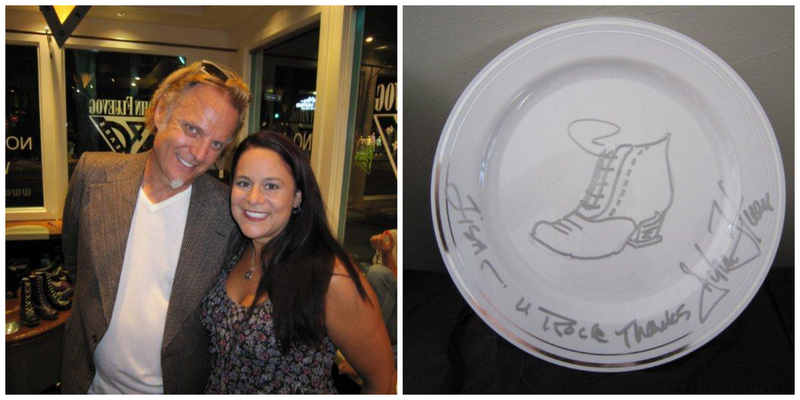 (Right) A personalized plate from Mr. Fluevog. My Super Fluevoger Life: I am originally from Florida. My husband Rob, and my daughter, Raven and I moved to Cali about 4 years ago and we LOVE it! 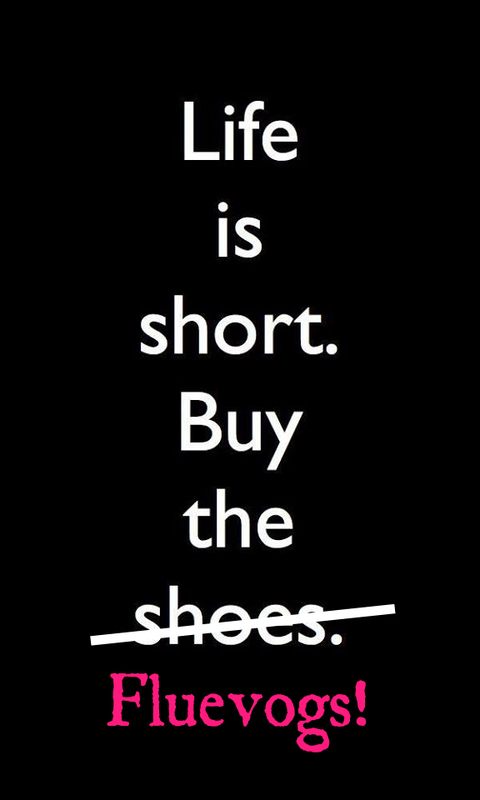 (and yes, they both wear ‘vogs too!). We are a bit of a kooky family, we love to have fun, explore new places, hiking, movies, live music, festivals, art shows…I guess we are just ultra cool. :- ) We also have 2 large dogs, a Greater Swiss Mountain Dog and an Old English Sheepdog, and one beloved guinea pig. A part of Lisa’s awesome collection. 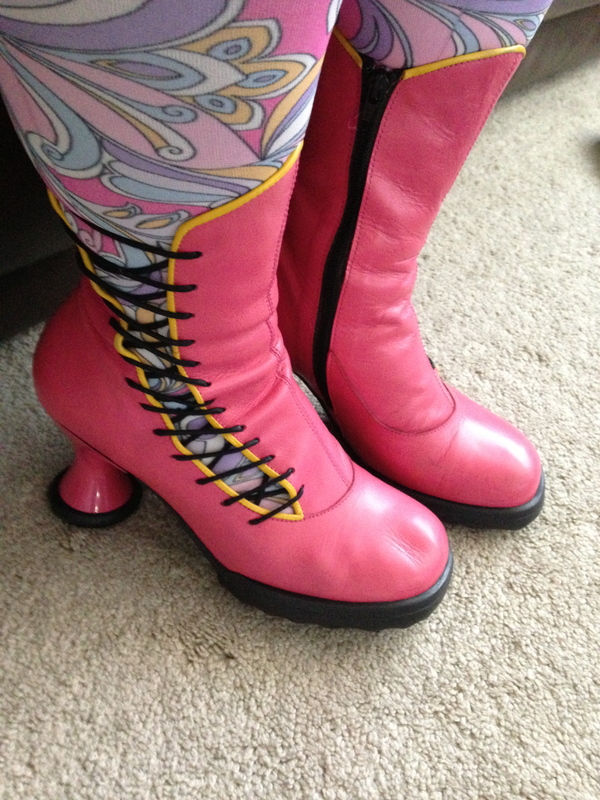 What I look for in a Fluevog: I love color and a funky heel. About My Collection: My collection has evolved over the years…I have several pairs of minis and I also love the operetta line, so comfy. I got to meet John himself a couple of years ago and have some original art and a couple pair of signed shoes. (my Countess Olivias and the purple and green 40th anniversary Vanny). I have gotten most of my Fluevogs from the LA Melrose store, although I have also spent some time (and money) at the Haight street store. My personal dealer, Shawn, just moved to DC to work in that store and I still call him when I need shoes! I have scored a few awesome ebay deals too! My Personal Style: Definitely eclectic. I am just as comfortable at a middle school band concert or a Flogging Molly concert. 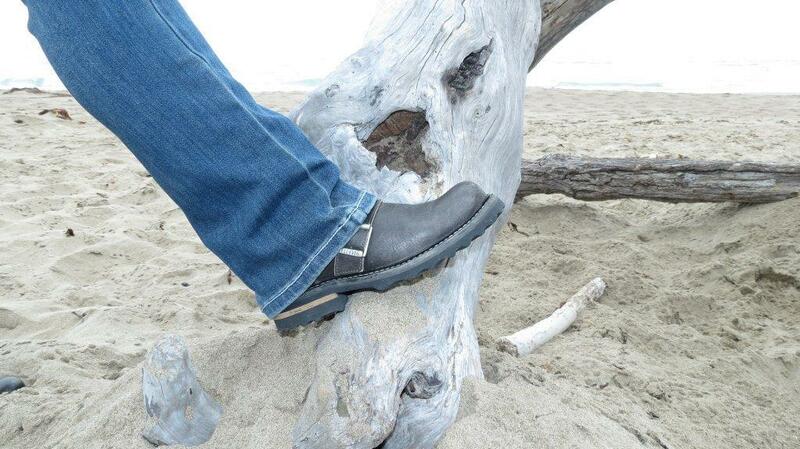 Share the love of Vogs or keep your Fluevog secret? 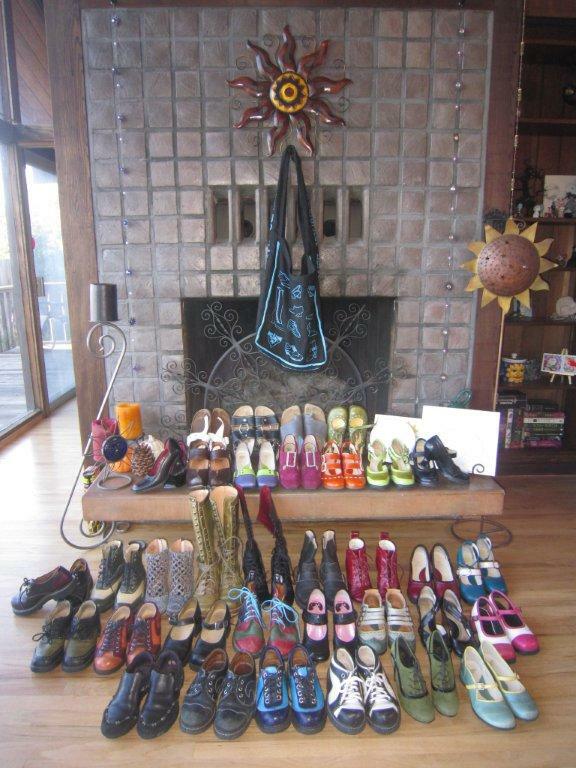 : Share..I like to think I’m a Fluevog ambassador! 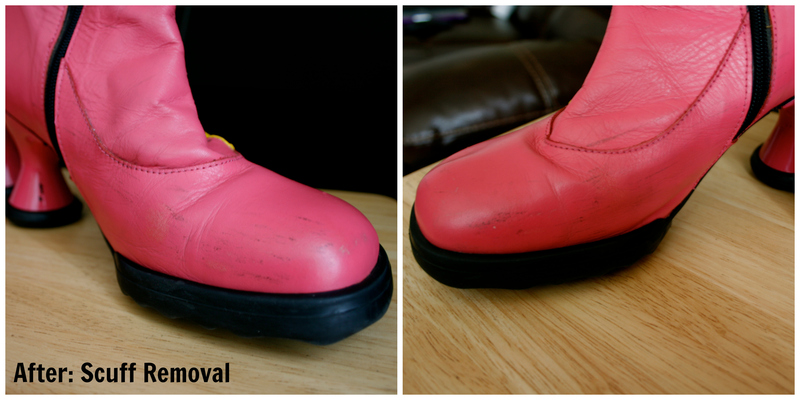 Fluevog that most likely needs a new sole: My Bobbis or my red/black Lily Darlings. Categories: Flueddict Spotlight | Permalink. I am a huge fan of the Mini family. For a long time, I have been wanting to add the Mini | Lover to my collection. However, they are only available in black right now. Though black will always be a classic, I just don’t need another pair of black Vogs (over 25% of my collection is black). For the last three years, I’ve been waiting for the Mini | Lover to come out in a different color. Until now, I didn’t have anything pink in my collection. I have been drooling over the fuchsia Guides, but didn’t get them because I already have them in blue. (Remember my no doubles policy?) While I like the Liz in pink, that pink is a little too salmon for my liking. But these… these are perfect! I’ve never seen the Mini | Lover in this color combination. According to FlueMama Monika, this combo was around for about a year. I found this gorgeous pair while browsing eBay listings on my phone. Given the awesome price (you’d cry if you found out how much these were), I jumped on them right away. After receiving them in the mail, I learned an important lesson… buying from your smartphone is tricky because the photos are so small. When I received them, I was surprised at how scuffed they were. 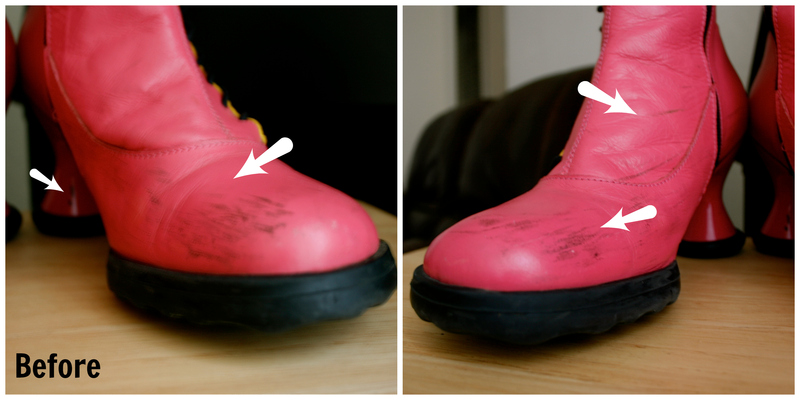 I went back to look at the listing and yes, after looking closely, the scuffing was in the photos, but it was faint. Also, the seller didn’t describe the physical condition of the Vogs. Instead, the listing stated that the Vog is gorgeous, rare, and if interested, you should buy ASAP because they’ll go fast. (I’m such a sucker!) Granted, the price was great and there is still a lot of life in these. But I was slightly disappointed with the scuffing. Using an old toothbrush, I scrubbed the scuffs with some toothpaste. Surprisingly, this removed most of the scuffing without damaging the leather. From there, I followed with some leather lotion. They already look amazing! After doing some research, I discovered that there are items available at the local cobbler that can more effectively remove the scuffs. Be sure to talk to your cobbler because some of the solutions out there are very strong and can actually remove the color of the leather. After removing most of scuffs, I polished the Lovers with pink shoe polish that I purchased from the Haight Street dealers. Did you know that your local dealers carry a selection of Fluevog shoe polish? Well, now you do! A few days after polishing, I treated the shoes with leather dressing. They look gorgeous now! I’m loving these equestrian socks! Categories: Accessories, Vog Collected | Permalink.